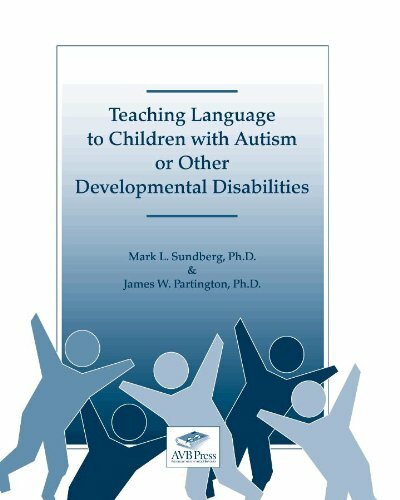 Teaching Language to Children with Autism or Other Developmental Disabilities by Mark L Sundberg, Ph.D & James W Partington, Ph.D. The book provides an easy to understand introduction to Skinner s analysis of language (i.e., mands, tacts, & intraverbals) with easy to follow examples of everyday language skills demonstrated by children. The book contains a brief language assessment system; the Behavioral Language Assessment Form (BLAF) that will give parents and teachers a quick overview of a child s language skills (see the VB-MAPP for a more thorough assessment). Pp. 246. This entry was posted in Communication, Our Library and tagged Autism Spectrum Disorder, books. Bookmark the permalink.